Burlesque. Experimental Music. Get in here. Because you don’t have time to find your horizons (let alone broaden them), we give you the Art Directory: our essential guide to gallery shows and cultural happenings that should be on every man’s radar, and recurs every other month or so. Sally forth. 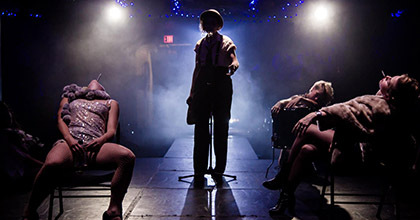 The old “Hey, Big Spender” routine gets a facelift at the Fly Honey Show, the hoochie-coochie variety extravaganza taking up weekend residency at the Chopin Theatre through the month. Striptease! Comedy! Song and dance! The ladies run up to 50 derrières deep, so expect one helluva racuous time. 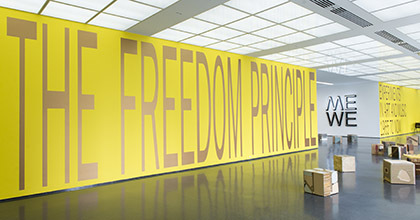 The 1960s, Chicago and the avant-garde African American arts scene: that’s what you’ll find at MCA’s newest exhibit, The Freedom Principle: Experiments in Art and Music, 1965 to Now. On display: the legacy of the AACM, the artist collective founded on the South Side that pushed the boundaries of experimental and improvisational music. Highly interactive. Recommended companion show: Other Planes Out There at Corbett Vs. Dempsey, a group exhibition inspired by a single drawing by Sun Ra. 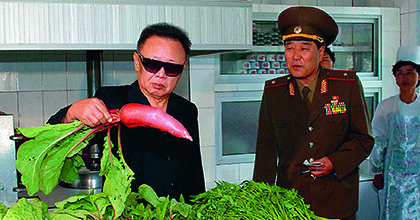 Yeah, that’s Kim Jong-Il looking at a radish. It’s a thing you’ll find at North Korean Perspectives, the MoCP’s look into the most reclusive state in the world. Watch the exhibition trailer here. The exhibit’s divided into two sections. On one side: the government version of the country. On the other, the non-controlled images being leaked out. 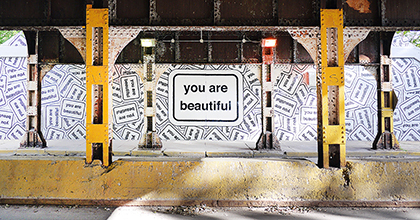 Logan Square stalwart Gallerie F celebrates the third anniversary of You Are Beautiful with a group show of more than a hundred artists creating their own YAB piece. Ends August 10th. Opening a few days later: a solo exhibition by Dan MacAdam, who’s celebrating 20 years at Crosshair. Word To Mother. Sickboy. Eiene. 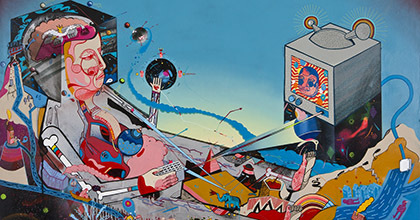 The Vertical Gallery brings three of the UK’s most innovative and renowned street artists to Chicago for the first time, together. Just opened this past weekend. Cost: zero dollars. Includes old and new work.